The best part – it is not a quick fix-it; the HydraFacial™ improves the quality of skin, actually helping to make it healthy. 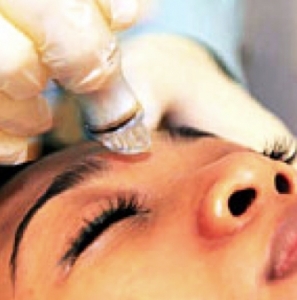 HydraFacial is a new breakthrough in aesthetic technology. This intense treatment removes dead skin cells and impurities while simultaneously bathing the new skin with cleansing, hydrating and moisturizing serums. The treatment is soothing, refreshing, non-irritating and immediately effective. Benefits include reduction of acne, painless extractions, softens and re-texturizes skin, reduces fine lines and wrinkles, hydrates the skin, lightens sun damaged skin, reduction of oil and pore size. No downtime and you leave feeling refreshed and glowing.